The final day of the 80th Anniversary of the Brush Car celebrations took place on Sunday 26th November. 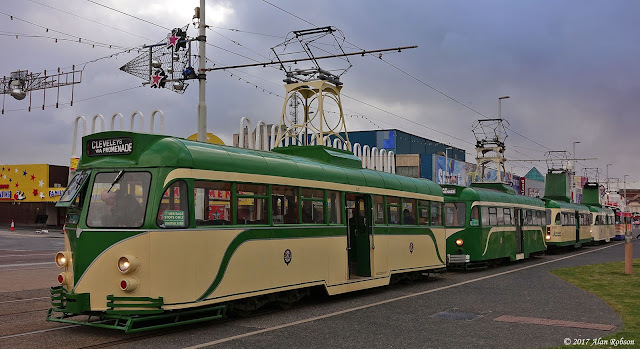 The main event of the day was a line-up of four Brush Cars plus the Trawler on the Central Promenade in the morning. 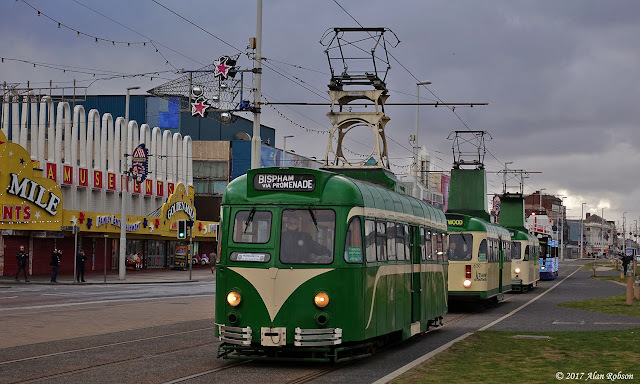 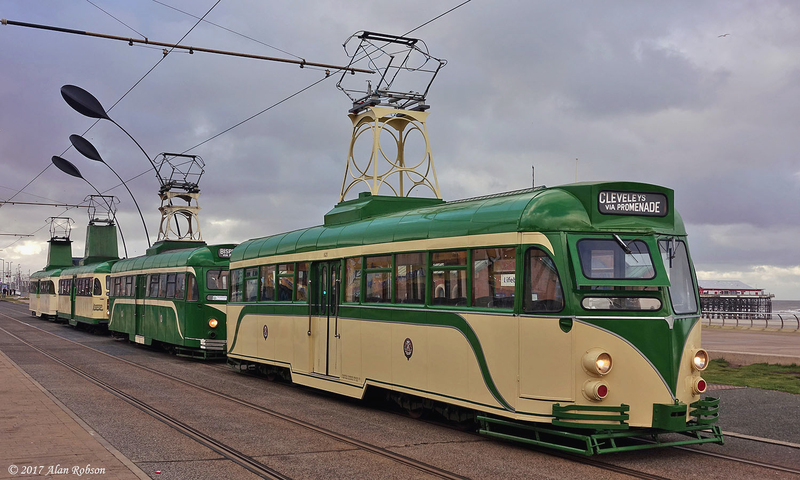 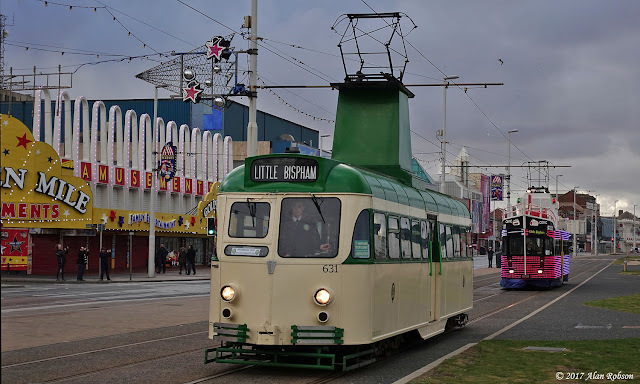 Brush 621, 623, 630, 631 & 737 parked line astern alongside the Lifeboat Station for a photo call, before each tram continued on its individual duties in Heritage Tram Tour service. 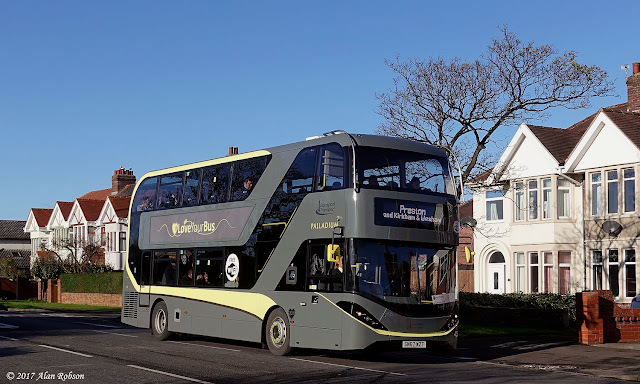 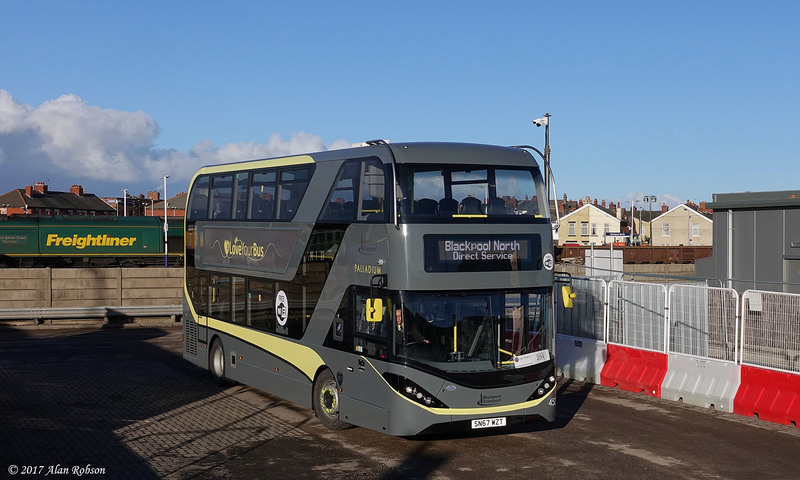 Blackpool Transport's latest batch of 20 ADL Enviro 400 City buses entered service this weekend. 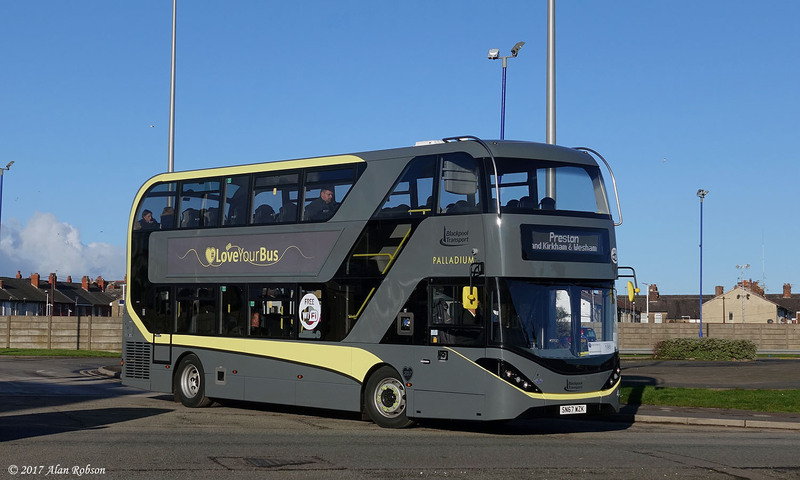 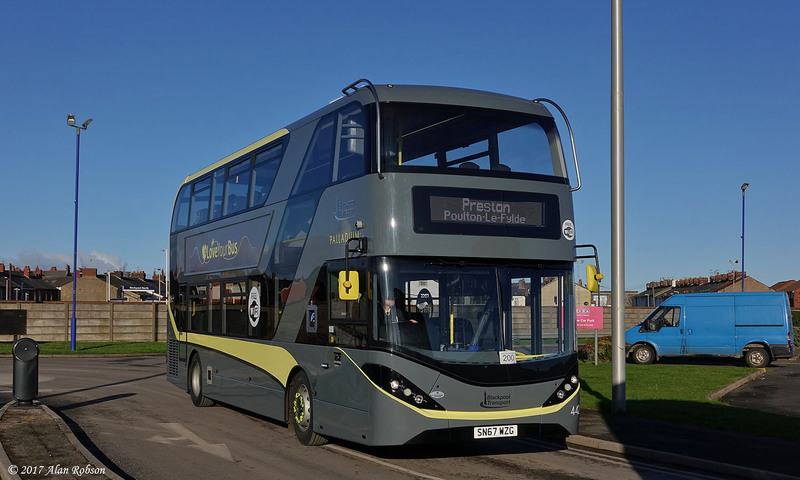 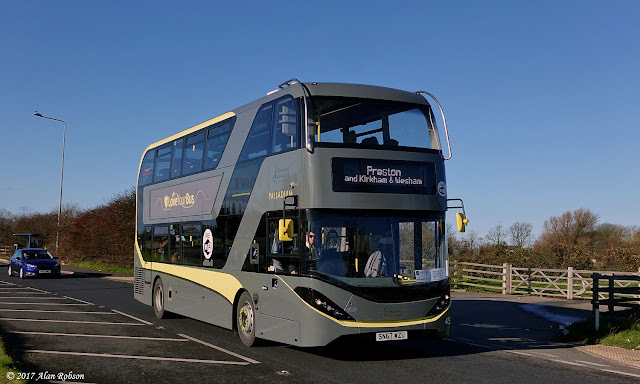 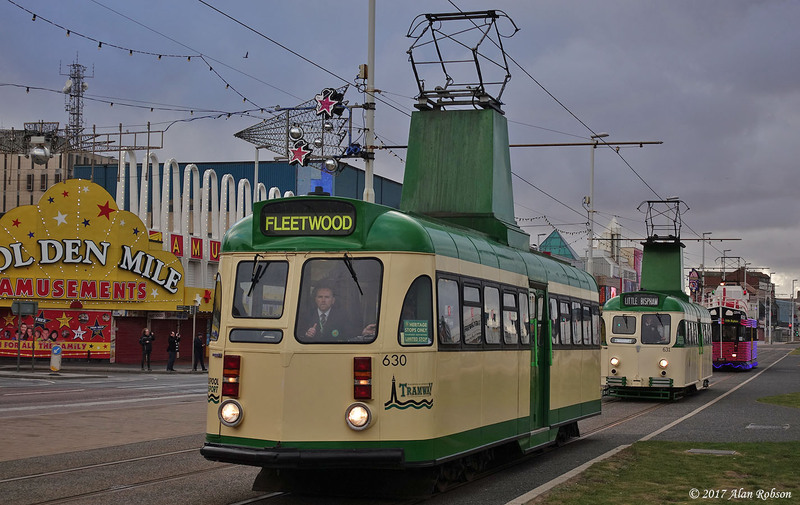 Enviros 436 to 455 are being used on Blackpool to Preston rail replacement work until March 2018, after which time they will enter normal passenger service in Blackpool.